Customer experience of course, is another thing. Especially for bigger groups, an online reservations system will drastically improve customer satisfaction. Make sure your it's as convenient and hassle-free to use as possible and you can also easily snag those customers who get turned off by confusing and messy reservations interface from your competitors. 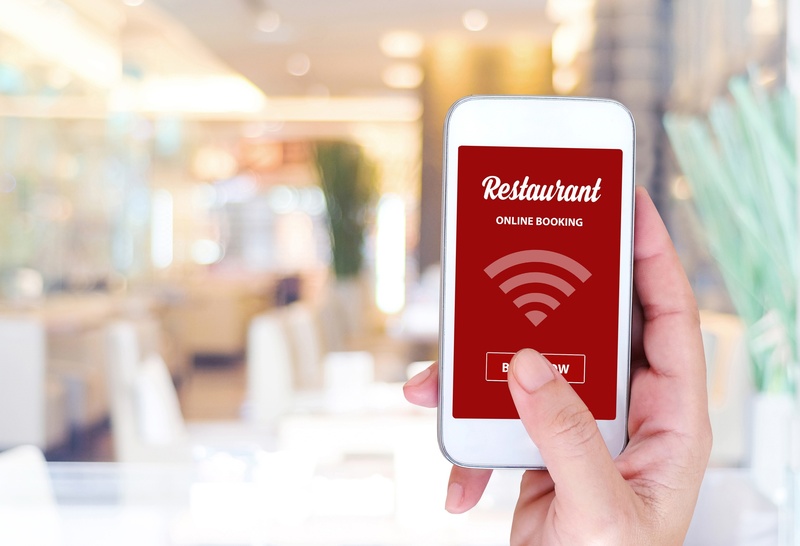 With all of that said, let's look at the top online reservations systems right now along with their features, cost and whether they are best suited for your kind of restaurant. Any restaurant worth it's salt will have a Yelp page, but did you know Yelp also does online reservations? With Yelp Reservations, you can easily link your Yelp reviews page. This essentially allows you to take your excellent reviews to the next level by enticing potential customers who happen upon your page with them. Oh, and you also get a plethora of other features to make things easier than ever. Even with multiple floors, Yelp's got your back with easy-to-use table management features. Even your waitlisted customers aren't forgotten as you can easily fill any openings (in case of cancellation for example) with them from the software itself. Communicate your guests with 2-way messaging when a table opens up and receive warnings when quoted times have been surpassed. Your customers will also get automatic email/SMS reminders about their reservations. Nice! Customers with allergies, special occasions or even just simple dining preferences will feel at home as the reservation software allows you to keep track of even the smallest details. This feature can easily give you and edge over competitors. Add the reservations widget on your website and you can immediately start accepting reservations from it! Yelp will also help you set everything up. Your customers don't even have to find your restaurant on Yelp to be able to profit from the reservations system. Your tables can be divided equally among your servers and you can even receive reports on how your servers are doing. $249/month. No extra hidden setup/texting/everything fees. Multiple device access with no extra charge. Yelp Reservations is a no-brainer if your restaurant has a solid Yelp presence already. Their fixed monthly rate also ensures you don't need to worry about going over budget. OpenTable is dedicated to the purpose of providing a full suite of online reservation features that will surely add flavor to your restaurant life. Aside from the usual online reservation stuff, it also doubles as a powerful marketing engine and helps you optimize your operations. OpenTable itself is a major marketing engine with almost 20 million diners per month, leaving most other platforms in the dust. One reason with this is that users are incentivized to use the platform. Table management is easier than ever as the app not only helps the restaurant staff, but also the customer as it recommends open tables itself. An optional Electronic Reservation Book feature allows the app to automatically do most of the reservation, table and guest management for you; complete with email marketing as well! Excellent analytics means you can improve your business as you go, or see if it's worth continuing with the service. 24/7 tech support with free online training means your staff will always be ready to handle and difficulties and have a fallback solution if needed. OpenTable constantly experiments with new features to stay on top of the game. You can opt-in on any of these experimental features to get started as early as possible and reap the rewards before others do. Depending on the subscription, their prices can range from $0/month plus $2.50/cover to $250/month plus $1/cover. There is also a one-time fee of $1300 but this may vary depending on their assessment of your restaurant when you contact them. This means you won't be paying a high fee even when the app itself hasn't done much for a certain month for example. This can be a good or bad thing depending on your restaurant's needs. OpenTable is an excellent choice for restaurants whose traffic mainly comes from reservations. ResyOS is a complete restaurant reservations and waitlist system, including table management, ticketing, web and app booking, CRM, POS integration and more. Their website definitely lets you know what features are available to you as a restaurant owner; something we noticed isn't always the case with most of the others. Customers create profiles about themselves that include details like birthdays, allergies and dietary restrictions. This info is available to you so you don't even need to ask. 2-way texting aims to keep no-shows to a minimum. Waitlist feature allows customers to be automatically notified of open tables due to cancellations as soon as they're available! Handles both ticketing and reservation which removes the annoyingly inconvenient need to transfer payment info back and forth. Custom tables and reservation types adds more organization to table management. You can even add custom notes for more context. Analytics allows you to know where most of your Resy bookings are coming from; (own website, emails, marketing partners, etc.) which allows you to focus on improving weaker sources or fortifying stronger ones. VIP feature allows you to keep your best customers by providing special perks like exclusive access to tables and priority notifications. Analytics is taken a step further by adding in data from third-party sources like Facebook, Yelp and TripAdvisor. They have a variety of plans that suit all kinds of restaurants. Their most inexpensive one starts at $199/month. Their "sweet spot" plan goes at $400/month while the those willing to go all in can expect to shell out $900/month. Optional POS integration costs an additional $100/month except on the most expensive plan, which already includes it. With a plethora of features and multiple plans, any restaurant can be suitable with Resy. Out of the three mentioned in this article, it looks like Resy is the most fully featured online reservation system. All in all, any of these can work with your restaurant. Just remember that these solutions are meant to help you, not make your business harder to operate. Be sure that if you are diving in, you take the time to actually learn the ins and out of the system and make sure that it is functioning properly. Take advantage of free trainings and listen for customer feedback and reviews. If you need a website on the other hand, we are here for you! Receive a free quote here.